July 2nd, 2013 | Wheaton World Wide Moving. 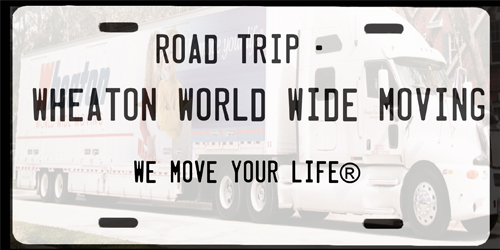 Pack your bags, get your snacks, and check the oil because starting July 8, Wheaton World Wide Moving is setting off on a road trip across America. We’re on a quest to discover and uncover some of the best and most unique places to live and visit in the United States. Join us as we travel across the United States, highlighting a different destination every week. During these excursions, you can expect to get a glimpse of what makes these one-of-a-kind American cities worth traveling or moving to. We’ll examine everything from the best restaurants to try to the top tourist attractions as well as practical matters such as the cost of living and interstate moving companies that can help you get there. In order to make this the best road trip ever though, we need your help. Keep an eye out on Twitter for our call for help. We’ll mention some cities that we’ll soon be featuring, and if you live in one of those metro areas, contact us. You and your city pride could end up on Wheaton’s official blog or Facebook page! Strap in and get ready for the trip of a lifetime. Wheaton’s on a road trip and we’re coming to a city near you!